New pup ! This is Emerald. Finally able to get a new Lab after some time off from my last one who was 15. Thanks guys, yea she will be a big girl and oh yea she can be our stock class mascot. That’s a good looking pup! I’ve always wanted a lab. 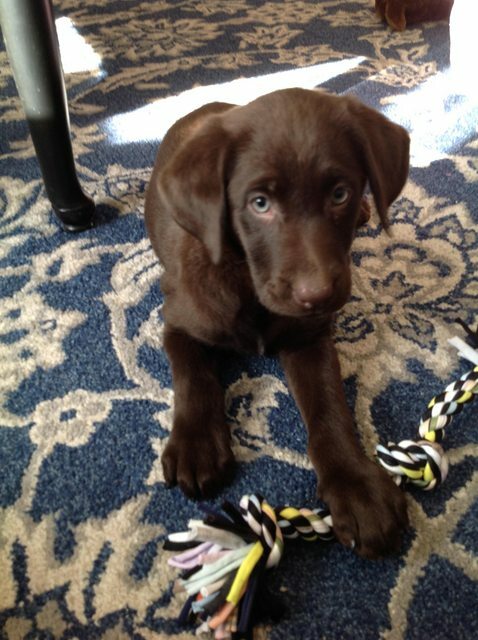 A chocolate lab named green.....I like it.